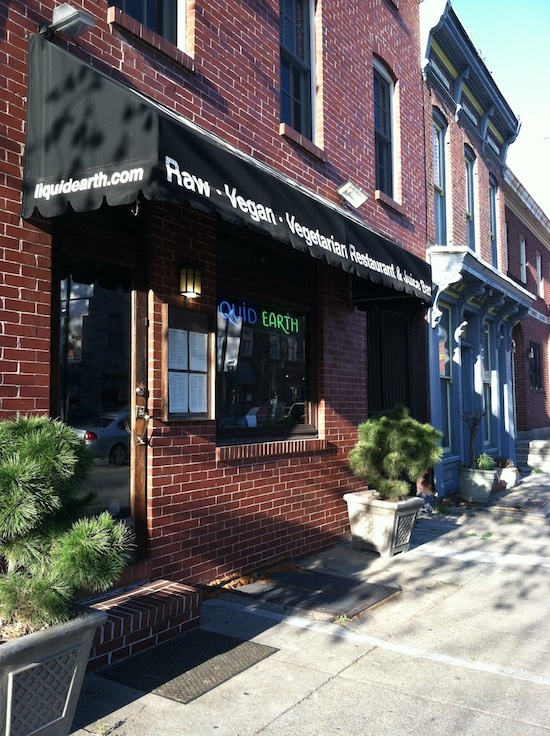 Wrapping up Maryland posts with another great Baltimore favorite, Liquid Earth. I also had the pleasure of dining with my friend, Madeline. 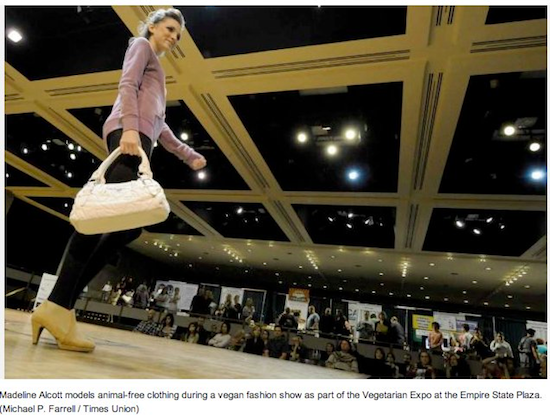 We first met a couple of years ago when I organized the first vegan fashion show on the east coast, at the annual NY’s Capital Region Vegetarian Expo. 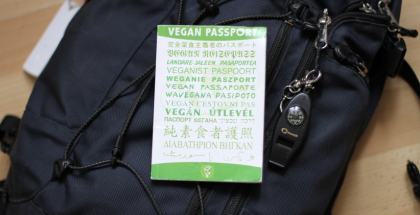 Madeline entered and won a spot as one of our vegan models of the show. Sweet! We’ve stayed in touch ever since. She and her love, Ryan, moved to Baltimore for school not too long ago. It was so great to reconnect and share yumful food stuffs! 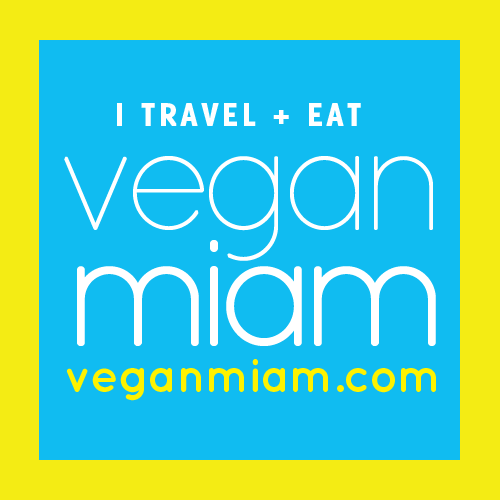 Vegan models: Joey, Madeline, Jeffrey, Jeanie, Carly, Charles, Kylyn, Andréa, & Eva with fashion show MC, Mandi and me! 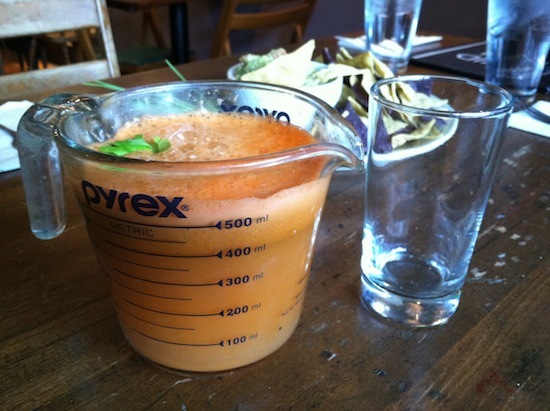 I love, love, love that Liquid Earth serves their fresh juices in measuring cups. 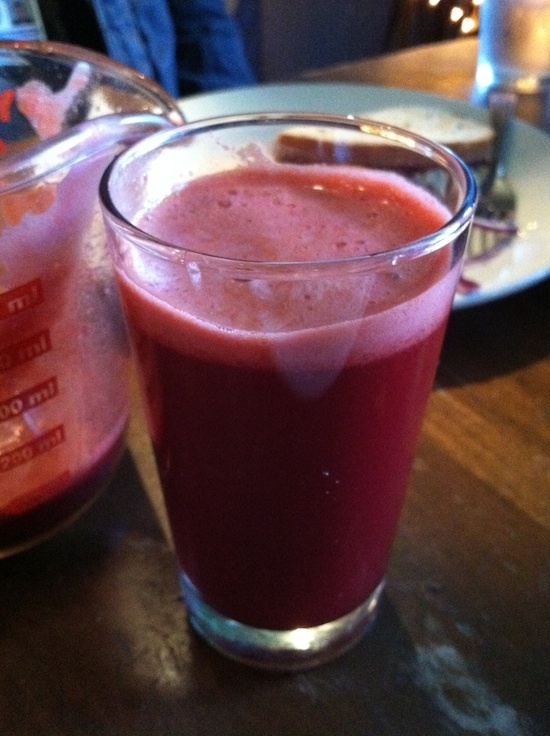 Accompanied with a glass to pour into and drink from. Cute! 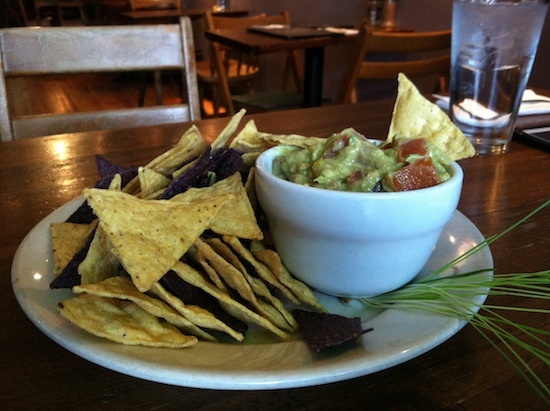 We started with the fresh Guacamole Dish, featuring onions, chunky tomatoes, and flavored to perfection. Plus I just love guac so… can’t really go wrong there. Very good! Madeline and Ryan split the Raw Pizza—creamy sauce, white mushrooms, mint, and yellow pepper; and a Tempeh Reuben—marinated baked organic tofu on a bed of sauerkraut with vegan cheese and 100,000 island dressing. 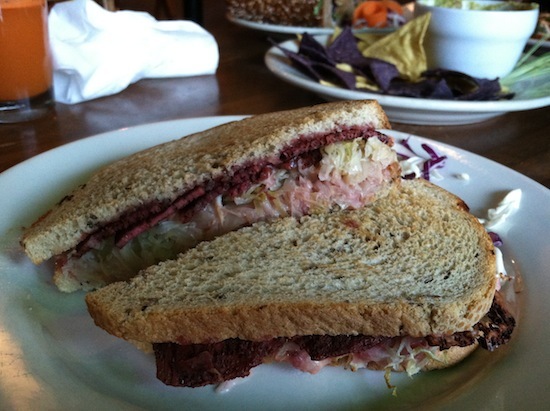 The Reuben came with tons of sauerkraut (yum!) and new-to-me tempeh that was a bit more squishy than I’m used to. Both were very good. 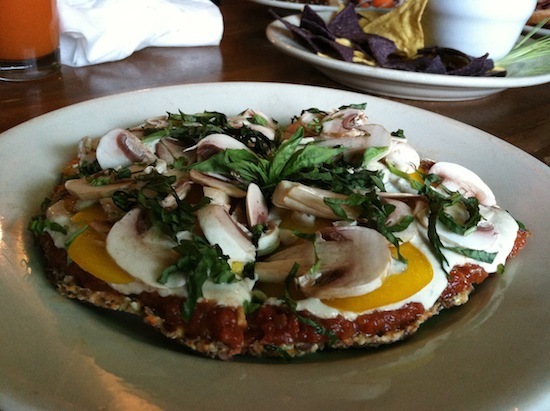 Specifically, the raw pizza was much more flavorful and nom-a-licious than I was expecting. Raw pizza rocks, man! 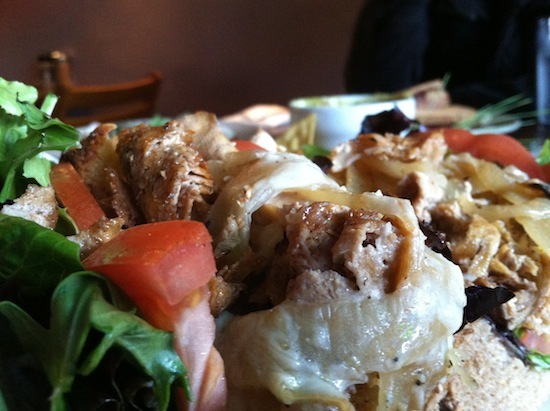 Great Sage – Some of The Best Vegan Eats in Maryland! Was it vegan provolone cheese ? I’ve never seen any, how was it ? How am I just now reading this?! I loved seeing you too! (both times) … I’m sure we’ll meet again soon. Adventure on!